Fashion Company, one of the leading fashion retailers in the Balkan region, has officially launched its new Fashion & Friends online store in Serbia. New Europe Property Investments Rockcastle (NEPI Rockastle), a leading commercial property investor in Central and Eastern Europe, has started the construction of Shopping City Satu Mare, its 18th shopping center in Romania. Sportina Group, one of the leading fashion retailers in Central and Eastern Europe, opened in March DIGI HUB - a new connective platform within its headquarters in Lesce, to insure faster digital growth of the company. Nefa Nameštaj d.o.o., Serbian retailer of furniture, opened on the 24th of March its new store in Novi Pazar, located at Čerkez Mahala no. bb Street, Serbia. Hennes & Mauritz AB (H&M), Swedish fashion retailer, announced that it will open its new store within the retail complex Ada Mall in autumn 2018. This will be the company’s fifth store in Belgrade and the 13th in Serbia. 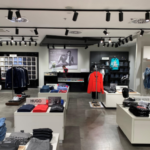 Pro Domo System d.o.o., owners of the multi-brand fashion chain Concept & Hype, opened on the 24th of March its remodeled store within Delta City shopping center at Jurija Gagarina no. 16 Street in Belgrade, Serbia. C&A, international fashion retailer, announced on the 22nd of March the launch of of its new e-commerce platform for eleven EU countries, including Croatia, Romania and Slovenia. Bistrita Retail Park, a new retail development at Calea Moldovei no. 13 Street in Romania, has attracted a new lineup of tenants, including Decathlon, Carrefour, Help Net, Lems, Dinoland, Metropolis, Top Shop, Churreria Julia, Noodle Park and Salad Box. Crystal Time d.o.o, Serbian importer, distributor and retailer of exclusive accessories, opened on the 23rd of March its remodeled Poklon Dućan multi brand store within Fashion Park Outlet Center in Indjija. 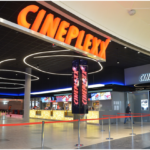 Bingo, Bosnian shopping center operator and owner of the Bingo food chain, opened on the 23rd of March its new retail park on M-17 no.5 Road in Mostar, Bosnia and Herzegovina. Ramstore, Turkish supermarket chain owned by Migros Ticaret AS, opened on the 23rd of March its new store at Moskovska no. 17A Street in Skopje, increasing its retail network in Macedonia to a total of 24 units. Planika flex d.o.o., footwear and leather goods retailer, will open on the 27th of March its new store within Retail Park Derventa, located at Kninska no.1 Street, Bosnia and Herzegovina. Baby Center, Slovenian retailer of maternity and children’s products, opened on the 21st of March its new store within Roses Designer Outlet Vranokovec at Vrankovec no.1 Street, Croatia.